Product prices and availability are accurate as of 2019-04-21 20:30:51 UTC and are subject to change. Any price and availability information displayed on http://www.amazon.com/ at the time of purchase will apply to the purchase of this product. 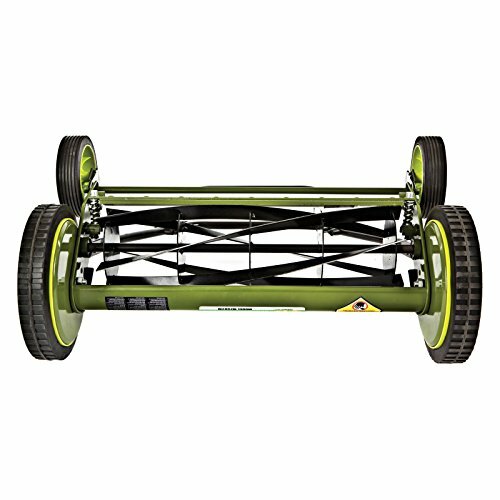 Keep your lawn trimmed old school-style fuel and energy with the Sun Joe Manual Reel Mower. 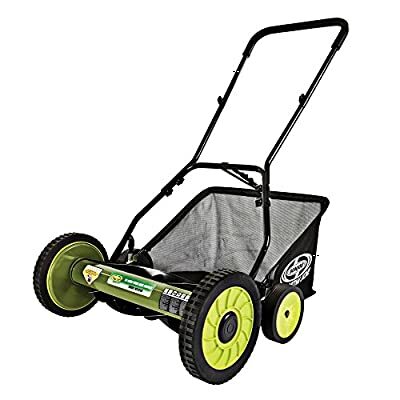 This eco-friendly cutter features a steel frame and sharp steel blades that cut through thick grass with ease. 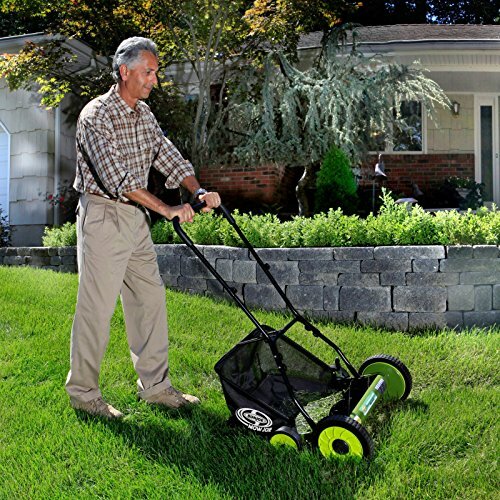 Its handy rear collection bag keeps things tidy while the 9-position height adjustment lets you groom your yard just the way you want it. About Snow Joe LLC Snow Joe has a robust research and development team that works hard to bring you creative, pleasing designs combined with technological advances to provide you with high-quality outdoor products. Originally started to bring you outdoor power equipment designed for winter, Snow Joe now distributes a wide range of easy-to-operate, reliable, and powerful equipment to take care of everything from snow removal to trimming your hedges. Designed for everyone, from the garden enthusiast to the average ''Joe'', Snow Joe has the perfect outdoor solution for you.Based in Edison, N.J., Snow Joe distributes its products throughout the United States and Canada. Snow Joe is constantly developing new products for each season, and has expanded their line to include indoor solutions with holiday storage, humidification, and insulation products. Steel frame and blades. 18 inch wide cutting path. 9-position height control. Includes rear collection bag. 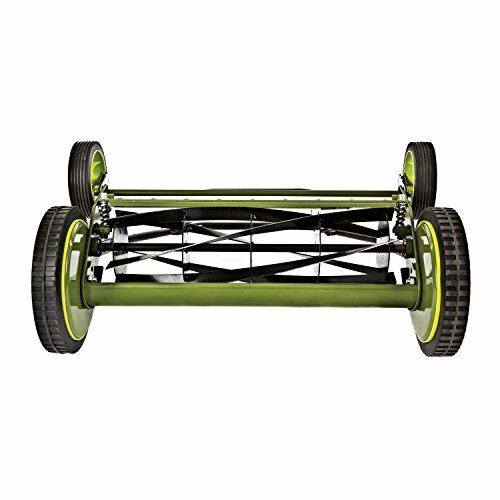 2 sets of wheels for easy maneuverability. Adjust cutting height up to 2.44 inches. Dimensions: 24.6L x 28.3W x 49.2H inches.